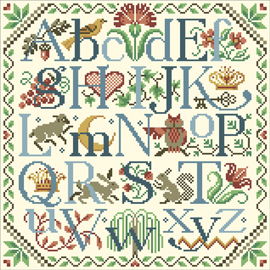 This spectacular sampler is a great example of how art can commune with nature. 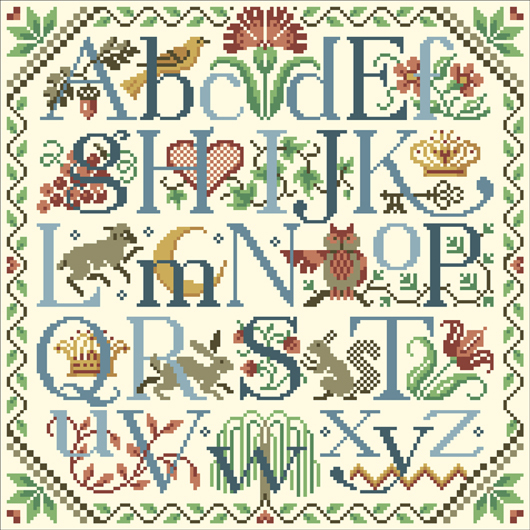 Each letter of the alphabet is represented by nature's own flora and fauna. Many of the motifs are taken from historical samplers of early American artists.